Reverend Robert Dean Bradbury got his wings December 16, 2016, while a patient at Seattle’s Swedish Hospital, after a few weeks of illness at home. He was surrounded by family, who sang him into the light. 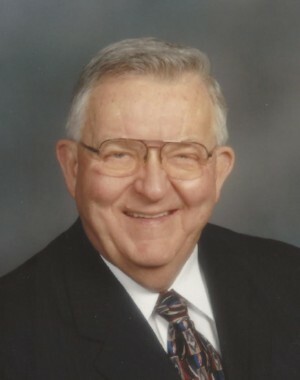 Bob married his beloved wife Jane Ann in 1960 at Edgebrook Community Church, Chicago, where he was ordained into the United Church of Christ (UCC) ministry in 1958. They had two children, Todd and Lynann, who became the love of their lives. A graduate of Chicago’s North Park College and Theological Seminary, Rev. Bradbury received a Master’s of Divinity in 1957, followed by a Certification of Psychotherapy from Adler Institute, Chicago. He was a UCC minister for more than 40 years, serving in three Illinois churches, and upon moving to Seattle 50 years ago, four churches in the greater Seattle area. He was also an Army veteran, who served with ASA in the Philippines at the end of WWII. Bob combined his love of children, education and ministry to facilitate courses in Positive Discipline and Sanity Circus throughout the Seattle Public School District. From 1982-1994 his courses engaged morethan 14,000 parents, educators and PTSA volunteers, helping teachers and families raise responsible, cooperative children. An advocate for the dignity and respect of all people, especially those less fortunate, Bob participated in Seattle’s Operation Nightwatch as one of many clergy who volunteered to walk through downtown at night to be a calming resource for people living on the street. Throughout his life, Bob nurtured a love of music, travel and model trains. For 33 years, he worked with Cartan Tours, escorting group tours in the summertime and to the Rose Bowl during New Years. After retiring from full-time pastoring in 1992, he took up model railroading, and assembled a basement/backyard miniature railroad that rivals any train yard. He then launched a second career, working 15+ years as an usher for Seattle’s 5th Avenue Theatre and the Seattle Symphony at Benaroya Hall, being an inaugural usher upon its opening in 1998. He touched the lives of thousands, and is known as a man who worked tirelessly to help people know their worth and dignity in the human family, and as God’s children. Born in Danville, Illinois to Ralph and Katherine Bradbury, Bob is preceded in death by his parents and beloved sister-in-law Anna Mae Scott. He is survived by his wife Jane Ann, son Todd and daughter-in-law Sharon, daughter Lynann, grandchildren Austin and Colton, all who live in the Seattle area; brother Ralph and sister-in-law Grace, brother-in-law James C. Scott, and their families in the Midwest. A memorial service is planned after the holidays at Magnolia UCC, where he was called to serve in 1966. Bob was an ongoing supporter of Plymouth Housing Group, Northwest Harvest and the Seattle Symphony. Thanks for the memories. We will miss you.